Bonnie Banters: Luscious Pecan Praline Topping ~ "How Do I Love Thee, Let Me Count The Ways"
Melt the butter in a medium saucepan. Toast the pecans in the butter over medium heat, stirring constantly. Cool and fill cleaned jars, leaving an approximate 1/2" headspace. Stir a little to distribute the pecans (they tend to rise to the surface), wipe the jars and seal. I've found that this topping stores well up to a month (plus) after opened. However, if you are more comfortable refrigerating it, go ahead. It already tends to thicken once cooled, but should thicken even more once refrigerated. To make more pourable, gently microwave what you need a little at a time for about 10 seconds on 30% power. 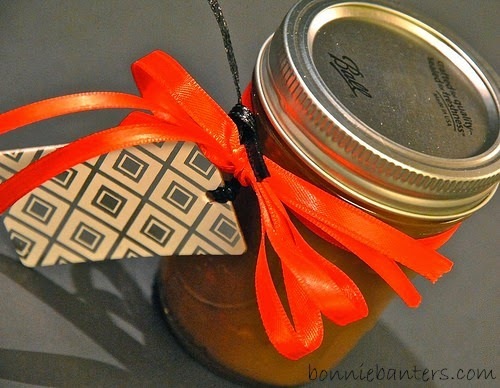 To present as gifts, tie pretty ribbons on the jar along with a tag with directions on how to care for and suggested ways to use. This sauce is incredibly versatile: It's terrific not only as a topping for ice cream, but also for cakes, cookies, brownies, cheesecake, baked brie, French toast, pancakes, waffles, apple slices, freshly popped popcorn or in your coffee or hot cocoa. Butter Pecan Glaze, i.e. Pecan Praline Topping! There are probably many other ways to enjoy this fabulous sauce that I've not even listed. How would you love to use this rich, luscious pecan praline topping? 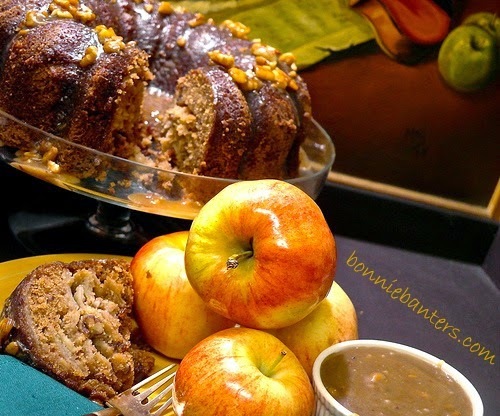 I am too busy to try this before Christmas however, I plan to give it a go in the new year, it sounds so yummy. Thanks Isabelle! It's so versatile, I know you'll enjoy any time!